See how one Basics & More Alum does Facebook Live right. This week’s Power of Nonprofit Storytelling. For more on Thursday’s newsletter topic, be sure to catch Nick Ellinger’s epic series over on The Agitator on donor identities. Brainstorming Donor Identities. The Veritus Group with Hyperventilating Over Tax Reform. It’s what I’ve been telling you all along. 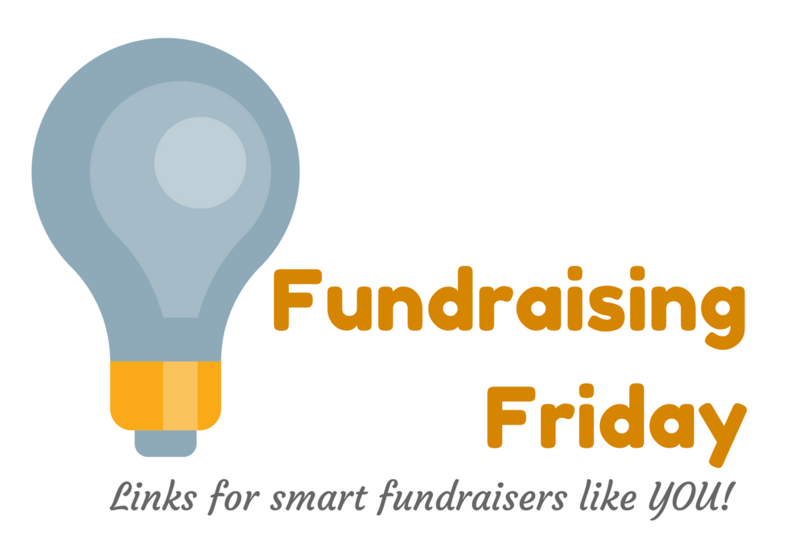 Is Fundraising REALLY a Priority in Your Organisation? New from Mena Gainpaulsingh. Confession: if I hadn’t lost it, I’d still be using a flip phone. This is what it’s like to not own a smartphone in 2018. In this week’s Motivate Monday, we shared our New Donor Timeline tool. Lots of viewers asked about creating a plan for in-memoriam donors. More than just a one-off: what in memoriam gifts really (can) mean for your donor relationships. It’s every fundraiser’s dream: to consistently raise money throughout the year…without an ask. And Michelle Sanders Brinson of Nashville Rescue Mission is here to tell you it’s possible. Her organization raises $2 million a year through the power of print newsletters alone. Michelle took our class on newsletters. Now Nonprofit Newsletters | Basics & More is back — and better than ever. You’ll discover how to ramp up your fundraising through your print AND email newsletters in ways you never thought possible. If you’re not quite sure how to go about creating your organization’s newsletters — or if you’re not raising money from your newsletters (lots of it!) — Nonprofit Newsletters | Basics and More™ is the answer you’ve been looking for. Learn more and register at Early Bird pricing here. Do you suffer from “Impostor Syndrome?” How can you simultaneously target your best prospects on Facebook – and save money? Can small shops utilize telephone fundraising? You’ll find trainings on these topics and many more in our MotivateMonday Archives. We’ll be on hiatus next Monday for the American holiday, but I’ll see you on the 19th with an all-new episode!